Smart-Clip was recognized as the best service solution for Motorola cell phones among the visitors of gsmhosting forum. 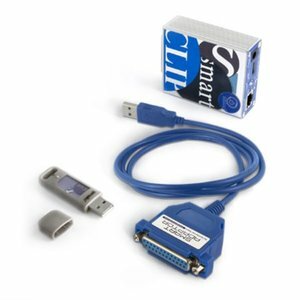 Smart-Clip with S-Card + Smart Adaptor - Powerful tandem of two GSM Server team solutions . Allows you to work with Motorola, Sony Ericsson, Sendo, Alcatel, Vodafone, Avio, Chat phone, Huawei, SFR and ZTE phones * and connect your Smart-Clip to PC USB port . Smart-Clip with S-Card is a professional device that removes SP/SIM/phone/user lock. Some positions in the list of cables and accessories may be slightly amended due to the manufacturer's decision. More details on the matter can be obtained from our sales managers.